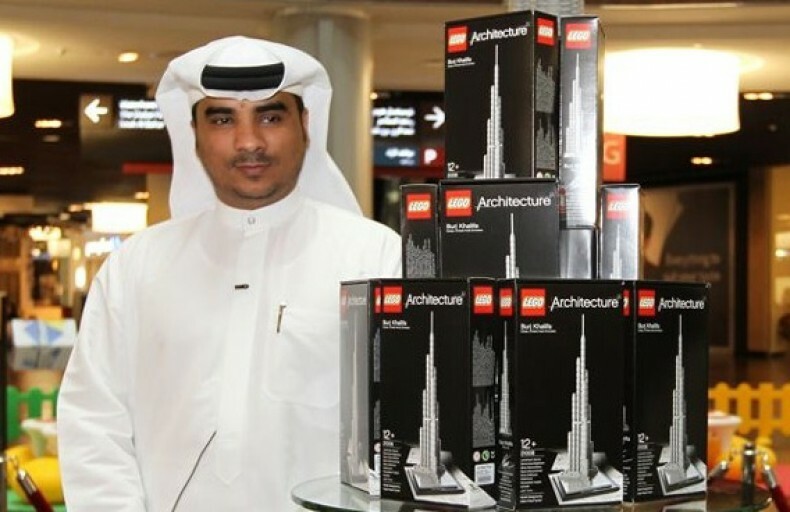 DUBAI // An architect who meticulously designed and built a 141,971-piece Lego sculpture of the Burj Khalifa wants the model to serve as an inspiration to others. The 2.7m tower of unglued plastic bricks went on display yesterday at Dubai Mall. It is the work of Adam Reed Tucker, an American who said he is on a “mission” to change the way people see Lego. Since the tower was commissioned just three weeks ago, Mr Reed Tucker has been putting in 16-hour days, spending about 200 hours in total designing and building it at his home in Chicago. “I design it all in my head and build it at the same time,” he said. Once ready, it was broken into 13 sections and sent to Dubai to be reassembled. It is not his first Burj Khalifa. He has a 5.4m version of the world’s tallest building among 14 other Lego models in an exhibition in the National Building Museum in Washington DC. He has also designed a more modest retail version, with 208 components and standing only 27.8cm tall, which went on sale yesterday in the Burj Khalifa’s At the Top gift shop priced at Dh149. Staff at the shop said they had sold 60 in the first hour alone. Mr Reed Tucker said he hoped to create a “whimsical and playful marriage” between the serious world of engineering and the childish realm of Lego. Mr Reed Tucker, whose wife is pregnant, said that when his family expands the boundaries of his workshop would be clearly defined. “There will be one area where there’ll be daddy’s Lego and another where there’s the child’s Lego,” he said.